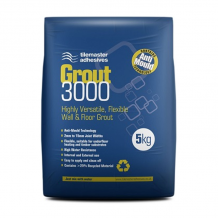 Tilemaster Grout 3000 is a premium, highly versatile, flexible, fast setting wall and floor grout, specially formulated using carefully selected cement and additives, to produce a smooth and controlled workability. Tilemaster Grout 3000’s flexibility makes it suitable for use in a wide range of applications, including for use on surfaces subject to limited movement and/or vibration such as plywood overlay and underfloor heating systems. Tilemaster Grout 3000 is suitable for grouting joints in wall and floor tiles between 2mm – 15mm wide. Tilemaster Grout 3000 has a very low water permeability making it ideal for areas subject to prolonged or permanent wet conditions such as wet rooms and swimming pools. Tilemaster Grout 3000 can be used internally and externally and it is unaffected by frost after setting. 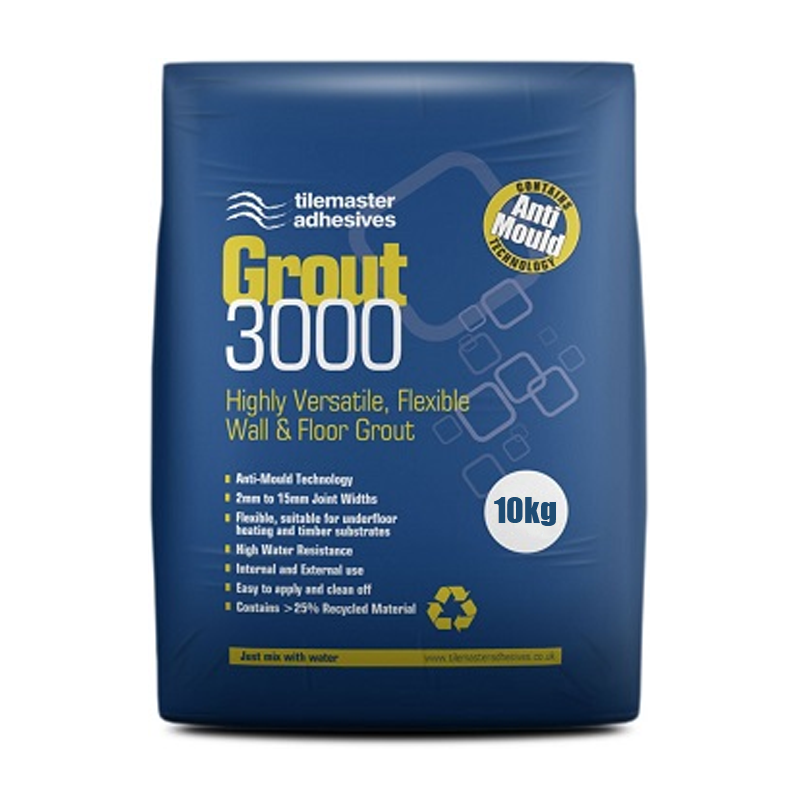 When mixed with Tilemaster Flexmaster Additive, the flexural properties of Tilemaster Grout 3000 are enhanced, making it suitable for a wider range of substrates, such as T & G floorboards, steel and fibreglass.